It appears to me that a personal ssh server is legal and acceptable to use [at least if you are with Comcast]. Also, note that the ssh port (22) is not blocked by comcast. This should work in many different distros and versions with only minor modification. This will prevent other user accounts from being accessible. 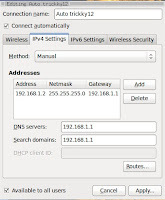 It is generally a good idea to use a static IP address so your router knows where to send the ssh traffic. 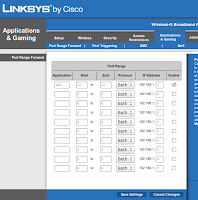 Right click your wireless icon on the panel and edit your connection. 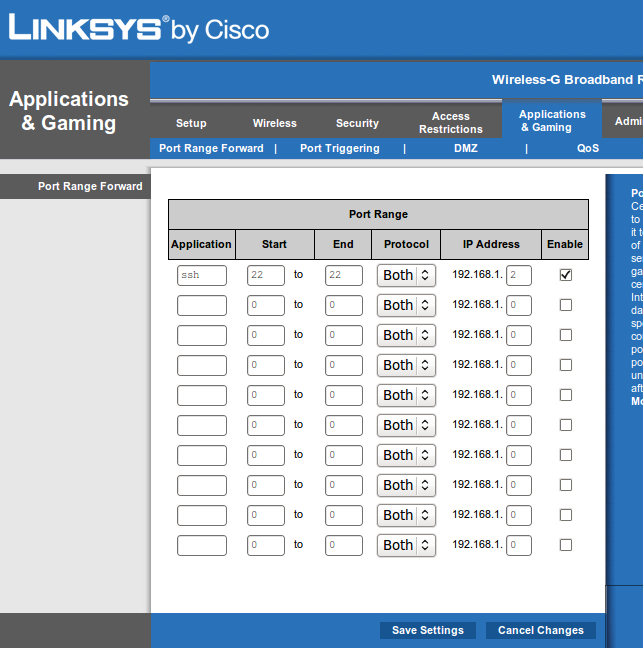 Shown to the right is a setup that is compatible with a linksys router (i.e., the router IP address is 192.168.1.1). Forward port 22 traffic to your statically assigned PC (see image below for router specs). 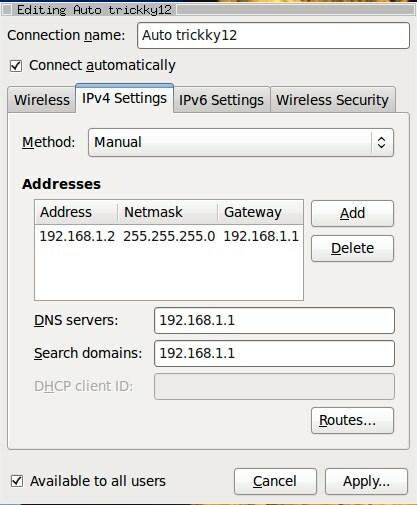 Use a service like dyndns.com to associate a static IP address with your dynamically assigned address. Run ddclient to update dyndns.com. Now, you should be able to ssh into your home computer from anywhere in the world. Also, please note that you can do just about anything with ssh access.